3-D Lenticular Plastic Cards give your promotion that extra pop! 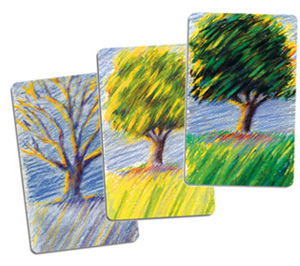 3-D Lenticular Printing can be applied to any plastic card, from Phone Cards to Gift Cards. They can be printed in a variety of shapes or sizes, in addition to the standard credit card size. Please contact Plastic Works to discuss the many options offered.